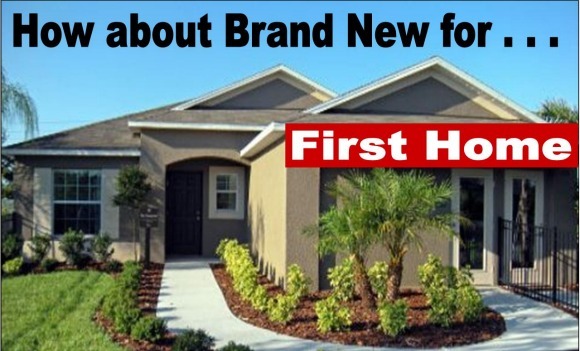 Orlando, Florida has excellent deals on brand new homes, in ideal neighborhoods for first time home buyers. The distressed property market caused an in flux of inventory that will take years to absorb. How does this impact you as the first time home buyer? Purchasing a home below market value will put you in a high equity position as the real estate market rally’s back. The first time home buyer tax credit was an excellent incentive and stimulated sales, however it’s hard to say if the government will ever re-institute the program. There are still first time home buyer programs available to assist with financing and your down payment. Credit plays huge role with purchasing a home, the better your credit, the lower your interest rate. As a first time home buyer expert, I provide resources to help clean up, repair and improve negative credit. Two great tools to help you with your home search are the (1) First Time Home Buyer Guide which answers many questions typically asked about buying your first home. (2) The First Time Home Buyer Alert which provides automated updates of properties that match your personal criteria with location, size, price range and any other personal preferences you may have with buying your first home. It really is a great time to buy Orlando real estate or property any where in Florida. Prices are still at an all time low, interest rates are low, although there is movement upwards and qualifying guidelines have eased up. Take advantage of the buyers market with Florida real estate, it won’t last for ever.